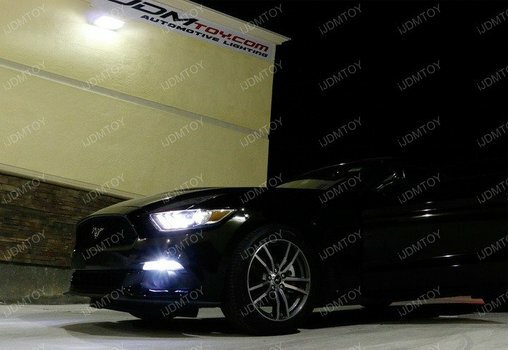 Let's learn how to install the 2015-2017 Ford Mustang switchback LED DRL sequential turn signal lamps. The LED daytime running light assembly is the ideal LED lamp to impress other drivers and command their attention as you signal a turn or lane merge. Featuring switchback technology, the LED lamp assembly runs the daytime running lamp in xenon white by default and flashes sequentially in amber yellow when you turn on your turn signals. The lamps switch back to xenon white when you complete your turn or lane merge. The Mustang LED DRL turn signal lights include a relay wiring harness and a pair of in-line load resistors to prevent hyper flashing. Because the turn signals are LED, they draw less power and are prone to hyper flashing. 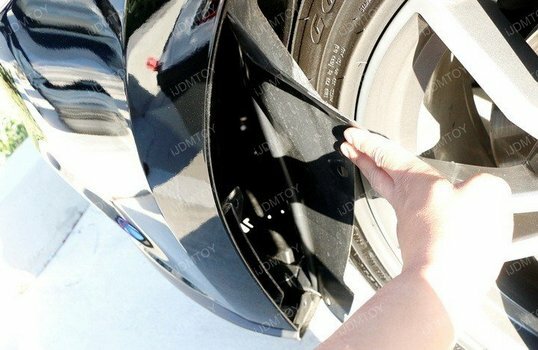 Move the wheel well liner out to the side to gain access to the back of your parking lights. 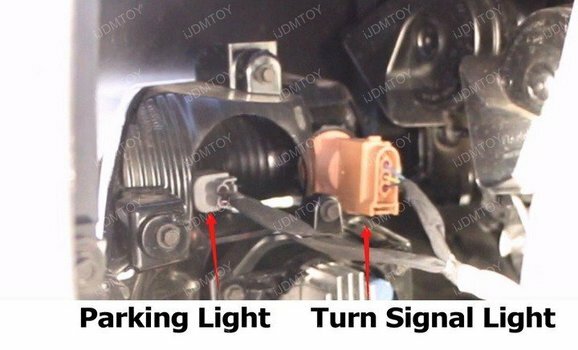 Take out the parking and turn signal harnesses and pull out the OEM turn signal light bulb. 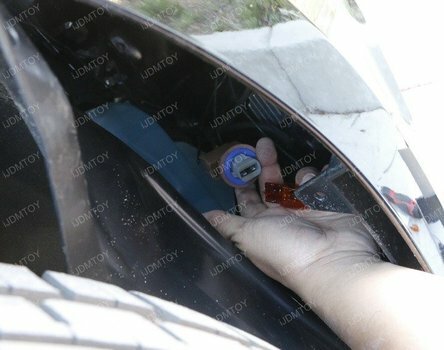 Remove your stock parking light lamp. Directly replace them with the switchback LED daytime running light/turn signal lamp. 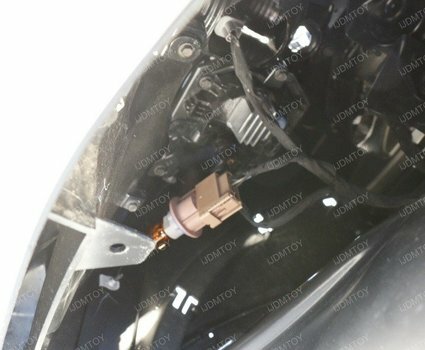 The mounting locations of the xenon white/amber yellow LED DRL turn signal lamp are the same as your stock parking lamps, making for a simple installation. 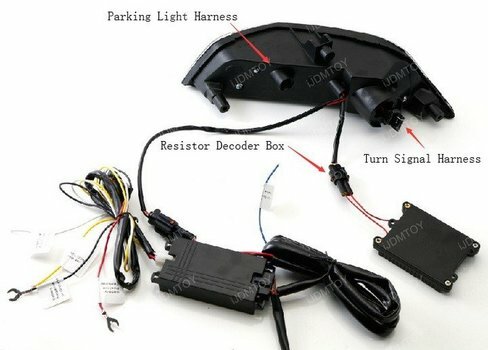 Install the switchback LED daytime running turn signal light assembly. Take out the stock turn signal light bulb from your stock turn signal harness and plug the turn signal. Twist lock the connection to keep condensation from forming inside. Connect the resistor decoder box to the additional socket. Mount it onto a metal surface or let it hang. 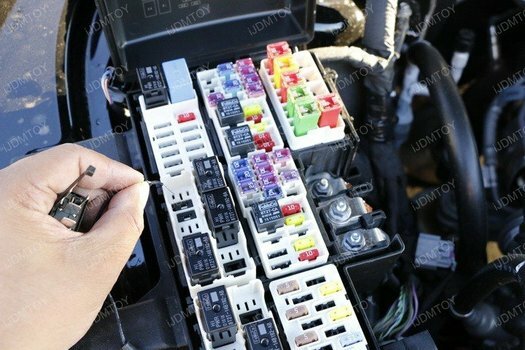 Connect the red wire to your car battery (+) and the black wire to a ground or your car battery (-). Tap the yellow wire to your ACC 12V (+). The additional white wire is optional. Tap the blue wire to your tail light (+) to enable the sequential flashing feature. Pull out the incandescent parking light bulb from your stock parking light harness. You will not be using this harness. Plug the unused parking light harness into the opening on the backside and twist lock to keep condensation from forming inside. Test to make sure each LED assembly properly functions. 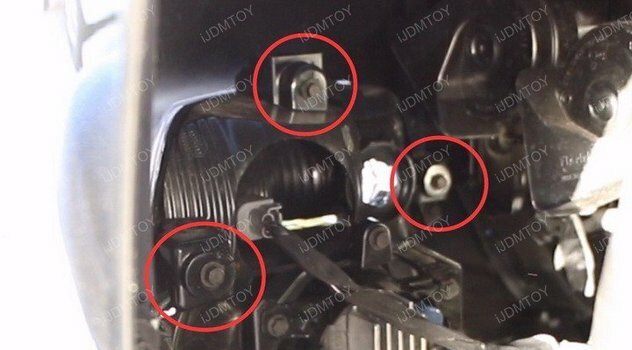 The turn signal connectors are polar sensitive so flip the connections if either light doesn’t work at first. Once you've confirmed full functionality, you may now take on the streets with your Ford Mustang's brand new LED daytime running lights with sequential flowing turn signal flashing! 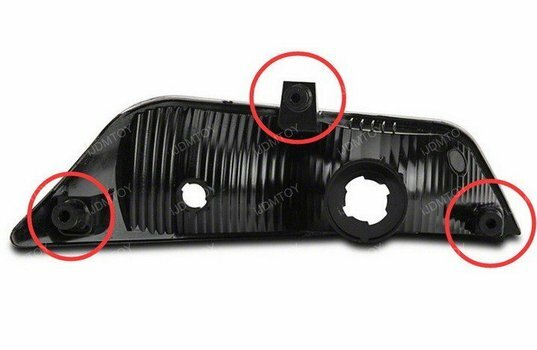 Find this and more OEM fit daytime running lights at store.ijdmtoy.com today!